Thats all. Game finished - Nantes 1, Dijon 1. 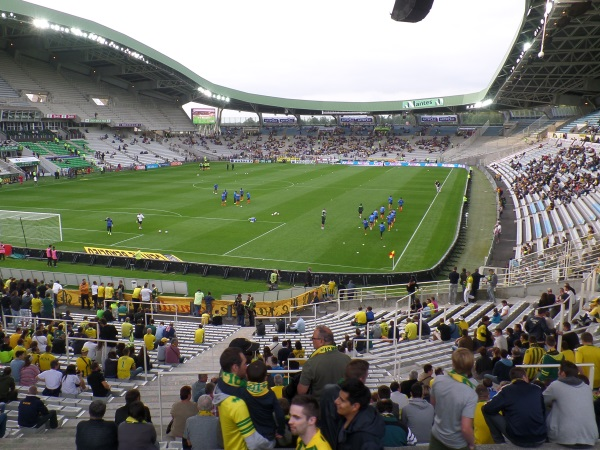 Second Half ended - Nantes 1, Dijon 1. Missed chance. Chidozie Awaziem - Nantes - with an attempt from the centre of the box missed to the left. Assist - Lucas Lima with a cross after corner. Corner - Nantes. Conceded by Cedric Varrault. New attacking attempt. Chidozie Awaziem - Nantes - shot with right foot from outside the box is saved in the top centre of the goal. Adrien Thomasson - Nantes - won a free kick in attack. Corner - Dijon. Conceded by Lucas Lima. Missed chance. Valentin Rosier - Dijon - shot with left foot from the right side of the box is close, but missed. Assist - Naim Sliti. Missed chance. Chidozie Awaziem - Nantes - shot with the head from the centre of the box goes high. Assist - Lucas Lima with a cross after corner. Corner - Nantes. Conceded by Jordan Marié. Shot blocked. Abdoulaye Touré - Nantes - shot with right foot from outside the box is blocked. Assist - Emiliano Sala. New attacking attempt. Kwon Chang-Hoon - Dijon - shot with right foot from the right side of the box is saved in the left corner. Assist - Oussama Haddadi with a cross. Koffi Djidji - Nantes - won a free kick in defence. Papy Djilobodji - Dijon - won a free kick in defence. Adrien Thomasson - Nantes - won a free kick in defence. Corner - Nantes. Conceded by Valentin Rosier. Substitution - Dijon. Vincent Rüfli for Benjamin Jeannot. Emiliano Sala - Nantes - hits the right post with a shot with the head from the centre of the box. Assist - Léo Dubois with a cross. Emiliano Sala - Nantes - won a free kick on the left wing. Offside - Nantes. Jules Iloki with a pass, however Emiliano Sala is in offside. Substitution - Dijon. Valentin Rosier for Fouad Chafik. Substitution - Dijon. Eden Massouema for Frederic Sammaritano. Papy Djilobodji - Dijon - won a free kick on the left wing. Corner - Dijon. Conceded by Koffi Djidji. Emiliano Sala - Nantes - won a free kick in defence. Kwon Chang-Hoon - Dijon - won a free kick on the right wing. Missed chance. Naim Sliti - Dijon - shot with right foot from outside the box is high and wide to the right. Assist - Romain Amalfitano. Fouad Chafik - Dijon - won a free kick in defence. Cedric Varrault - Dijon - won a free kick in defence. Missed chance. Adrien Thomasson - Nantes - shot with right foot from outside the box is close, but missed. Missed chance. Yacine Bammou - Nantes - shot with right foot from outside the box missed. 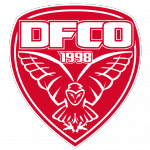 Romain Amalfitano - Dijon - won a free kick in defence. Substitution - Nantes. Yacine Bammou for Prejuce Nakoulma. Goal! Nantes 1, Dijon 1. Kwon Chang-Hoon - Dijon - shot with left foot from the centre of the box to the left corner. Assist - Naim Sliti. Shot blocked. Jules Iloki - Nantes - shot with right foot from outside the box is blocked. Assist - Valentin Rongier. Missed chance. Benjamin Jeannot - Dijon - shot with the head from the centre of the box missed to the left. Assist - Frederic Sammaritano with a cross. Corner - Nantes. Conceded by Oussama Haddadi. Shot blocked. Romain Amalfitano - Dijon - shot with right foot from outside the box is blocked. Shot blocked. Abdoulaye Touré - Nantes - shot with left foot from outside the box is blocked. Assist - Prejuce Nakoulma. Second Half starts Nantes 1, Dijon 0. First Half ended - Nantes 1, Dijon 0. Shot blocked. Frederic Sammaritano - Dijon - shot with right foot from outside the box is blocked. Assist - Naim Sliti. Naim Sliti - Dijon - won a free kick in attack. Missed chance. Kwon Chang-Hoon - Dijon - shot with left foot from the left side of the box missed. Assist - Frederic Sammaritano with a cross. Shot blocked. Romain Amalfitano - Dijon - shot with right foot from outside the box is blocked. Assist - Oussama Haddadi. Missed chance. Kwon Chang-Hoon - Dijon - shot with left foot from a diffucult position on the left is close, but missed to the left. Assist - Naim Sliti. Missed chance. Adrien Thomasson - Nantes - shot with right foot from the centre of the box goes high. Assist - Lucas Lima with a cross after corner. Substitution - Nantes. Chidozie Awaziem for Diego Carlos - injury. Corner - Nantes. Conceded by Romain Amalfitano. Goal! Nantes 1, Dijon 0. Prejuce Nakoulma - Nantes - shot with right foot from the centre of the box to the right corner. Assist - Emiliano Sala. Emiliano Sala - Nantes - hits the left post with a shot with the head from the centre of the box. Assist - Léo Dubois with a cross. Delay in match Diego Carlos - Nantes - - injury. Shot blocked. Diego Carlos - Nantes - shot with left foot from the left side of the box is blocked. Assist - Lucas Lima. Missed chance. Lucas Lima - Nantes - shot with left foot from outside the box is close, but missed to the left. Assist - Léo Dubois with a cross after corner. Corner - Nantes. Conceded by Papy Djilobodji. Shot blocked. Adrien Thomasson - Nantes - shot with left foot from the right side of the box is blocked. Assist - Léo Dubois. New attacking attempt. Papy Djilobodji - Dijon - shot with right foot from the centre of the box is saved in the left corner. Assist - Naim Sliti with a cross. New attacking attempt. Naim Sliti - Dijon - shot with left foot from the centre of the box is saved by goalkeeper in the centre of the goal. Assist - Kwon Chang-Hoon. Lucas Lima - Nantes - won a free kick in defence. Offside - Nantes. Lucas Lima with a pass, however Emiliano Sala is in offside. Substitution - Nantes. Abdoulaye Touré for Rene Krhin - injury. Delay in match Rene Krhin - Nantes - - injury. Naim Sliti - Dijon - won a free kick in defence.